It recognizes exceptional ideas that redefine habitat design through the implementation of innovative ideas, techniques, construction, visual, programmatic and futuristic organizations through architecture as a tool. EHC embarks itself of technological and engineering innovations which are about to go big and sets architecture free to innovate more in these uncharted directions. It is a one of its kind platform that promotes the relationship between the habitat + technology + planet. Design a concept habitat of 1,000 people within an area of 0.5mi x 0.5mi, which is able to expand itself to 100,000 (2.5mi x 2.5mi)as needed/desired by the population moving into the place. The challenge invites ideas that push the boundaries of design using innovative habitat working models, materials, technology, close to zero land costs, a nomadic yet rooted lifestyle. This design exercise can be considered similar to colonizing a new earth with the technology of today. The first 1,000 people prototype habitat will house all the three elements of human life in it – Live, Work and Play. 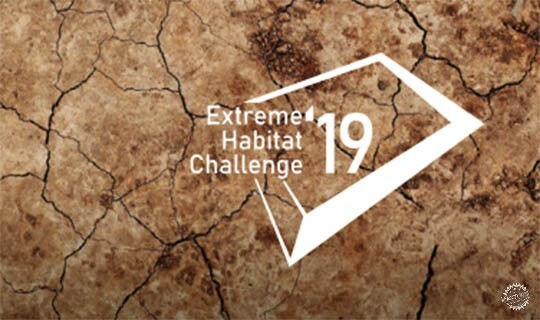 The first ever Extreme Habitat Challenge competition chooses two major cities (New York, USA x Mumbai, India), connected via the fastest mode of land bound transit (Hyperloop). This site peculiarly with a very less human population density is a test bench for designing a new habitat will inspire how life should be in similar environments while balancing itself harmoniously between forces of nature. Institutional access is first of its kind exchange program for inter-university students and professor.